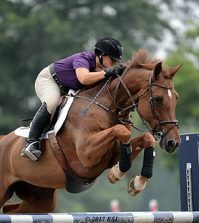 Victoria Colvin and Don Juan. Photo by Kendall Bierer/Phelps Media Group. 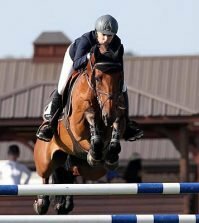 Miami, FL – April 5, 2014 – A field of the nation’s top 20 riders gathered at Sun Life Stadium for the inaugural $25,000 Hollow Creek Farm Junior/Amateur-Owner Jumper Classic, earmarking a page in history as they set the stage for the 42nd American Invitational, presented by G&C Farms. 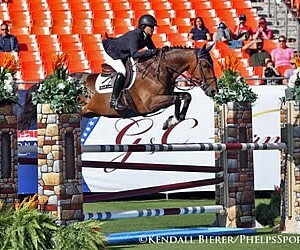 Victoria Colvin was the only rider to lay down a double-clear effort, taking home the victory with Don Juan. 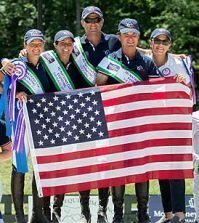 Nicole Bellissimo and VDL Dogan rode to the second place, while Venezuela’s Emanuel Andrade was awarded third place. To watch the webcast visit our two sponsor sites, www.PhelpsSports.com or www.StadiumJumping.com, or the host site for the live streaming at www.ShowNet.biz. 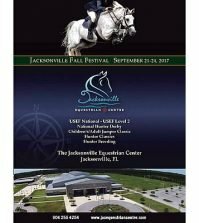 For more information about the 2014 $200,000 American Invitational, presented by G & C Farm, please visit www.StadiumJumping.com.